I am in need of some advice. I am putting the finishing touches on a new home and want to set up the home network. I have a cable modem set up in the basement. Attached to the modem I would like to install a wireless router and a 10-12 port switch. The switch will serve the predetermined hard wired ports throughout the house. Any brand recommendations. I will most likely install a single dedicated "kid" pc with a shared printer. The home office equipment will be hard wired and all its' accessories will be attached directly to the laptop/pc. Company frowns on remote employees using a wirelss network. The wireless router - (I may need some relays, boosters) - Ideally it would be located in one corner of the basement. The house is approximately 7,500 square feet. Three levels. Is there a "home" router that could fully cover the entire house, or do I need to look at something more commercial. Am I better off going with a "home" router with some type of booster? I am not the type to work from the deck so it only needs to pick up inside the four walls. I'd ask the company techs, but they'd shut me off when I used the word wirelss. Apparently they think us non techies are incapable of setting up a secure network. Budget - I'd like to keep it under a thousand - if that is feasible. It's tough to beat Linksys products. They're a division of Cysco. You can buy them everywhere but Buy.com has very good prices and stock. Just be sure to put in twice as many 10bT outlets as you think you need. Many, many devices are in the pipeline to use them. Including, but not limited to, DVRs, microwaves, washers, dryers, water heaters, thermostats etc. You're probably going to need several wireless access points for a 7500 square foot house. But they're very inexpensive. There is no magic formula, it's pretty much trial and error based on building materials, insulation, interior walls and other blocking materials. A typical home wireless access point will transmit a couple thousand feet in free air but sometimes less than 100 feet inside a home. My home is roughly 3000 sq ft and I need two to cover it. You can always add more switch capacity later but it's a pain to run wire. Plan accordingly. Good luck! 7500 square feet is a big house. My house is 1/2 that I had to go with the strongest "home" router I could find to access all the parts of the house. But, why are you going with ethernet ports? Why not just go completely wireless? Instead of multiple access points couldn't he use one access point and multiple, stratigically placed, range extenders? I went through four of five different brands before I got the D Link. The only one that has yet to mess up. Linksys customer service is a joke Eight hours on the phone (3 calls) and they kept blaming everyone else for their product. The Geek Squad was the ones who straightened all of the mess out. Linksys, works good for me. I have a small home, but I do use my lap top out in my workshop. My workshop is unattached and over 100' from my home, I still get a good signal. I have a westel from versalink provided by verizon. a good wireleess router should do the trick. Currently I have Linksys and have been pretty satisified, but I will be replacing it with an Apple Airport Extreme base station and adding Apple TV to the mix. 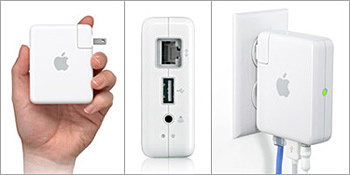 They have these wicked little wall plugins called Airport Express base stations that give you RJ45 (CAT 5) a USB port and an audio out - works like a repeater/range extender too. Slicker than snot I tell ya! View Next Unread got yardbirds?